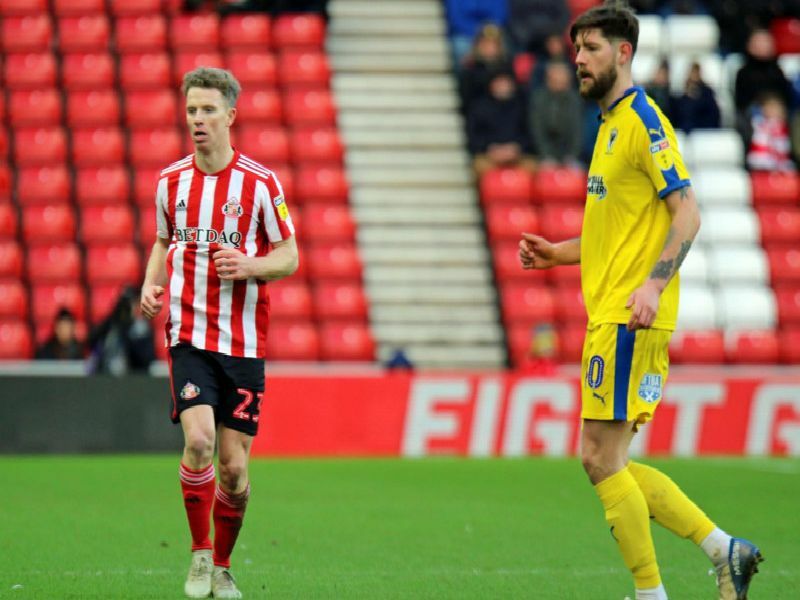 Sunderland moved up to fourth in League One following a 1-0 win over AFC Wimbledon - but how did the Black Cats' rivals fare over the weekend? We take a closer look at this week's winners and losers from the third tier, as well as some of the stories you might have missed. After re-signing for Sunderland in January, it didnt take long for Leadbitter to make his mark. On his second debut for the Wearsiders, Leadbitter set up Aiden McGeady to score the only goal of the game against AFC Wimbledon. Daniel Stendels side jumped into the top two after a comfortable home win over Scunthorpe. The Tykes are now unbeaten in ten league games following goals from Alex Mowatt and Cameron McGeehan. The Luton striker has now scored five goals in six games under caretaker manager Mick Harford. Colllins two goals in a 3-0 win over Shrewsbury took his league tally to 18 this term. After being linked with a move away last month, the Fleetwood striker netted the only goal of the game as Joey Bartons side beat promotion-chasing Charlton 1-0. It was Evans 12th league goal of the season.